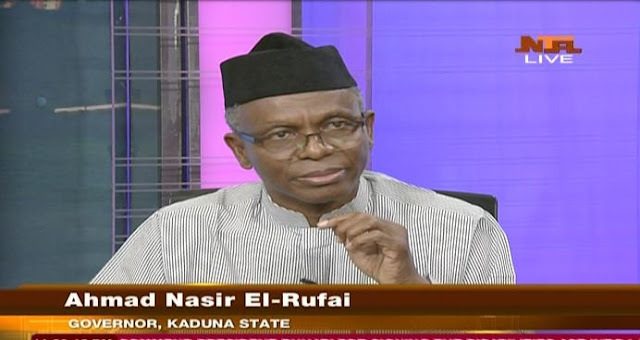 Kaduna state governor, Nasir El-Rufai was a guest on NTA on Tuesday, February 5th where he talked about the recent statements made by foreign representatives, UK, US and EU on the suspension of the Chief Justice of Nigeria, Justice Walter Onnoghen. The Federal government and the ruling party had in seperate statements asked the foreign representatives to stop interfering in Nigeria's politics. ''Those that are calling for anyone to come and intervene in Nigeria, we are waiting for the person that will come and intervene. They will go back in body bags because nobody will come to Nigeria and tell us how to run our country''.